New Level Announced for Wii U's "Super Smash Bros."
The Wii U is experiencing something of a resurgence after the release of Mario Kart 8. Even when the Wii U launched, the console has never had more momentum than it does right now. As the company looks to the future, their fate will rest in the hands of system&apos;s next big-name title, Super Smash Bros. for Nintendo 3DS and Wii U. Of course, with a franchise as legendary as Super Smash Bros., making sales on this name should be a slam dunk. However, with all of the bad news that has been surrounding Nintendo, nothing is certain for the company right now. Given the current conditions, Nintendo has already begun to roll out news about the upcoming Super Smash Bros., likely in order to stir up interest for the title. Today, the company announced that a new stage would be added to the forthcoming fighting game: the Coliseum. 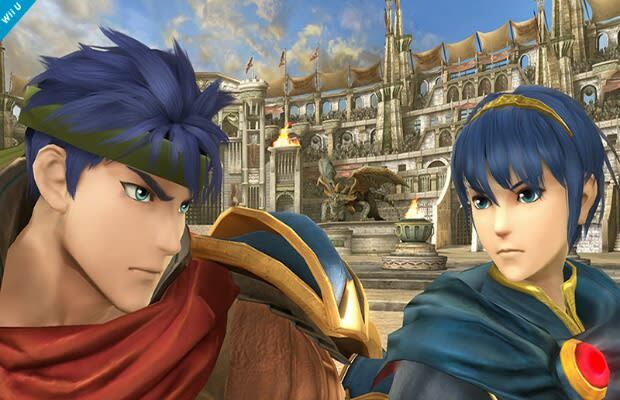 Coming from the Fire Emblem universe, the stage will serve as the home battlefield for Marth and Ike. Ready your swords. RELATED: 25 Characters We Want to See in "Super Smash Bros. Brawl 4"